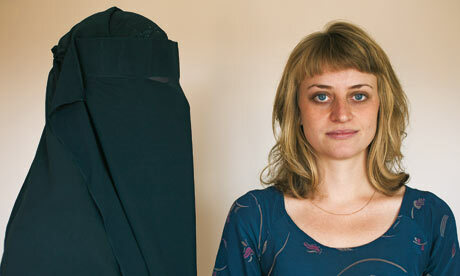 Rachel Aspden is a British Journalist who travelled to the annual Dowra course in Tarim, Yemen a couple of years ago. Her article is worth a read, she makes some interesting observations about her time there. As the Dowra Applications usually open in the spring of each year, her sharing may help women who are thinking of travelling out there. What is life like in a madrasa and why are young western women drawn to a life of strict religious discipline? Rachel Aspden was asked politely but firmly to cover up. 1. The blogger has chosen to take this decision at this particular stage of their life. It is their choice; their decision. It fits with their lifestyle, world-view and priorities at the moment the choice was made. 2. The blogger’s choice should not be questioned but accepted. Afterall they are intelligent enough to have set up a blog that had a readership. If a reason is offered, accept it politely. If no reason is given, don’t waste time speculating. What is to be earned by speculation? Nothing productive. 3. A person makes a choice to blog at a time when they feel they are comfortable in sharing in cyberspace. It is their decision to blog or not all the while. There should not be compulsion, pressure or force on any blogger to update their blog at a rate YOU or I wish. As a reading community we should be weary of becoming 'overbearing' on a blogger. 4. Bloggers are human. Yes! Like the rest of the world’s population they also are at various stages in their life: there may be movement in relationships, parenthood, health, work, travels, and other advancements in their personal life. Sometimes blogging daily is not the best use of their time which needs to be divided into so many catergories. This MUST be respected. If you find it problematic in accepting this, then it is your issue, not the blogger's. 5. Life is about change. Get used to it. People walk in and out of our lives. Old times come to an end and new journeys begin. Ultimately the bloggers you benefit from are going to disappear from your cyber-experience one day; just like so many good souls have left a mark on your life already. Take the lesson they give you, be grateful to the Creator and utilise the understanding in your own life. 6. Ultimately respect the wishes of the blogger. As number 1 states above: it is the blogger's personal choice which they have made at this moment of their own journey. You or I may deal with things differently, but that person has decided from their own accord. Respect it.